The Penguins are Steve Bell's best-loved creation from his If... strip, making many appearances over the years. Their special guest appearance to mark the launch of HMS Queen Elizabeth. The Royal Navy's biggest, most powerful, most expensive aircraft carrier ever helped highllight the missing component - aircraft. Never mind, Steve offered the Penguins in their place! 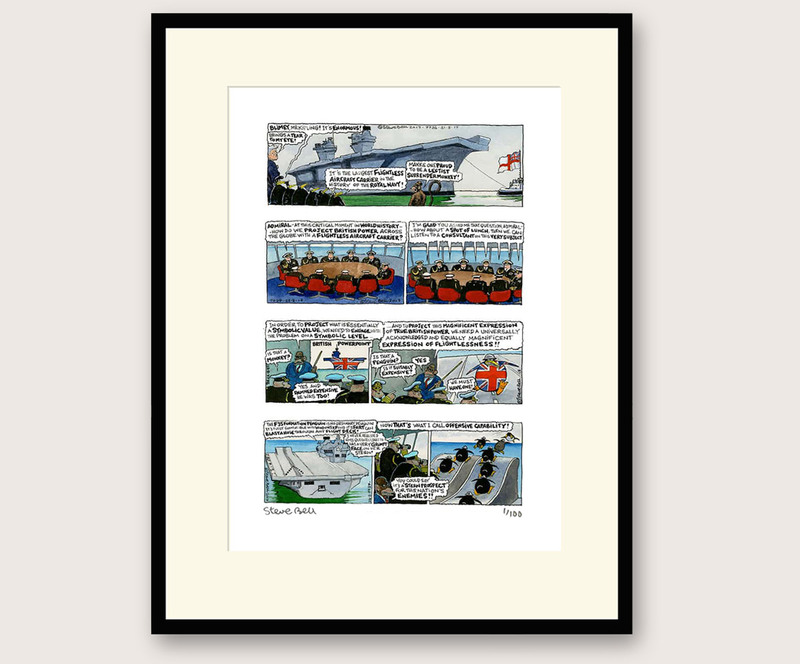 Limited edition of 100 prints, each carries all four of the Penguins' Aircraft Carrier If... strips, individually numbered and signed by Steve, framed, crated and tracked delivery ready for display.